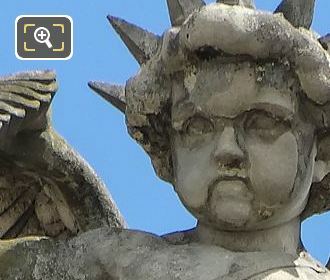 We were again at the Musee du Louvre in the 1st Arrondissement of Paris when we took these high definition photos showing a statue called Les Gloires de la France, which was sculpted by Henri Charles Maniglier. 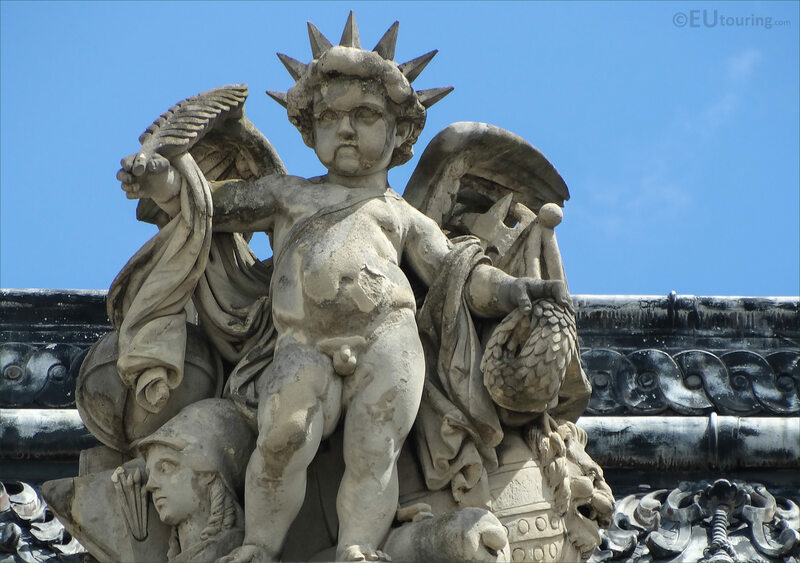 This first HD photo shows Les Gloires de la France, which is an allegorical statue that in English translates to The Glory of France, yet it is also referred to as Glory for short, and this was produced in stone after the original plaster model had been approved and it was placed in the Aile Henri II back in 1857. Now this statue of Les Gloires de la France was produced by Henri Charles Maniglier who was born in Paris in 1826 and followed in his fathers footsteps to become a French sculptor, winning the Prix de Rome in 1856. 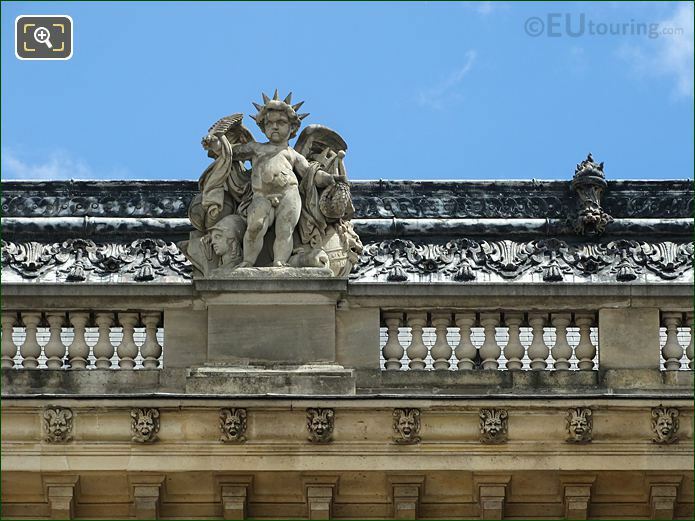 And after this he received even more public commissions including some for the Musee du Louvre including this one of Glory of France, along with works for different churches in Paris and other tourist attractions such as the Chateau de Chantilly, and having been awarded the Legion of Honour in 1878, he then became a professor at the Ecole des Beaux Arts from 1883 through to when he passed away in 1901. 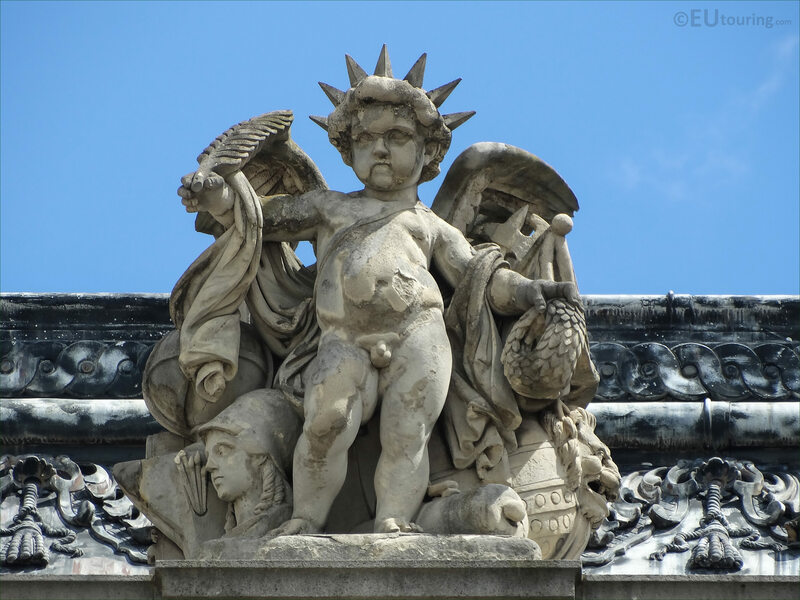 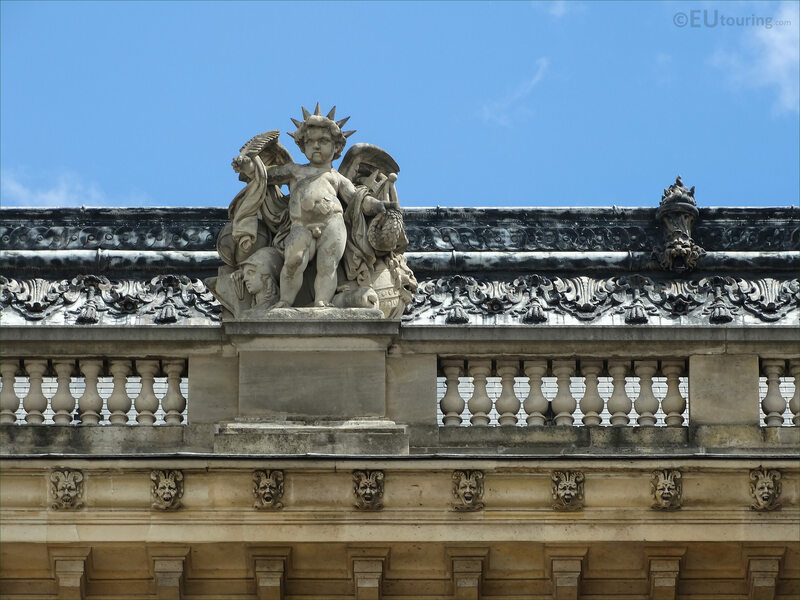 So when you are looking at the facade of the Aile Henri II wing of the former Palais du Louvre from the courtyard called the Cour Napoleon, you will see that this is the second statue from the left hand side on the third level balustrade by the roof line.